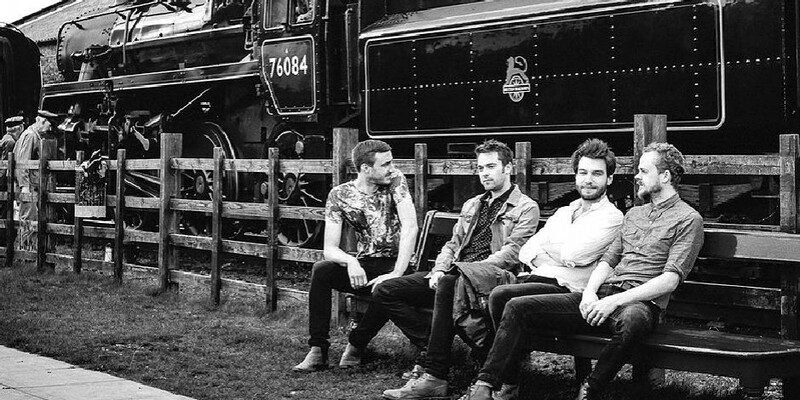 The Della Grants are an English rock and blues band who were assembled in October 2013, bringing together the talents of Max Manning, Tom Best, Andy Boulton, and Tom Walker. With three of the bands four members having played together for the previous thirteen years, and with the arrival of Tom Best The DGs are aiming to write and perform original, modern blues music that harks back to the golden age of British RnB and American Blues alike. In late 2011 band members Manning, Boulton and Walker began working on original material for the first time during a visit to the Netherlands. In that time the DGs penned five songs that would make it onto their debut EP entitled ‘Crossover Blues’. The EP was well received by industry critics in 2012, leading the band to continue working hard on their own material throughout that year. With the new year came a new addition to The DGs in 2013, as the band looked to improve their sound and song writing credentials. Old friend and blues music aficionado Tom Best was the number one target for the band and agreed to join without hesitation. The Della Grants as we now know them were formed: Max Manning on lead vocals and guitar, Tom Best on guitar, harmonica and vocals, Andy Boulton on bass, and Tom Walker on drums. The new line-up’s opening performances at the Robin 2 in Bilston, Wolverhampton caught the eye of long time music professional Mark Stanway. Most famously of the rock band Magnum, Stanway would later enthusiastically volunteer to join the DGs on organ for the studio recording of their song ‘Keeping Me Away From You’, adding The DGs to a very long list of artists he’s worked with over the years including Jeff Beck, Paul Rogers, Manfred Mann’s Earth Band, and Robert Plant to name a few. Since then The DGs have gigged with some of the greatest names in the industry including Ryan McGarvey, Gwyn Ashton, Larry Miller, The DTs, Dr Feelgood, and Canned Heat, as well as playing at a number of notable festivals such as Simon Says, Cambridge Rock, and Colne Blues. The Della Grants first full studio album ‘Time For Change’ was recorded in just six days at Mad Hat Studios in Wolverhampton. The album comprises of ten original tracks and one cover, a Keb Mo’ song called ‘Am I Wrong’. The album was released in September 2014 and the initial reaction to it has been more than positive. It’s fair to say The DGs have their sights set on a long and successful career in music, and you can join them every step of the way by following them on Twitter, and liking their Facebook page. Be sure to check the gig section of the website for all our forthcoming shows.